Hello (travellers of the) world! My name is Alin Sas, I’m 26 years old and I’ve started to travel about 5 years ago, since then I can’t stop, therefore I will travel the world! Eh, what a line to start with… I know it sounds like an AA meeting, but really now, travelling can be addictive, and that’s not really a bad thing. 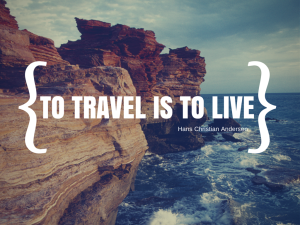 If you ask me, I think I know what Hans Christian Andersen meant by “to travel is to live” because for me to travel means to see places and open your mind even wider, to meet people that might change your perspective about the world we live in, i know they sure changed mine. Why “iwilltraveltheworld.com”? I’ve started this because I want to promote travelling and backpacking, I want people to share experiences from around the world and to facilitate the flow of information to other people that are travelling or thinking about travelling. Believe it or not, sometimes it doesn’t really require extensive effort to travel it and the reward in terms of memories would definitely worth it! I had a different approach with the blog and built a slightly different concept because thinking that no matter how much I travel, I don’t hold all the knowledge and experiences in the world and therefore I’ve started the idea of a social travelling blog. This is a place where besides me and my friends that are contributing to this, people I meet in my journeys can share their travelling experiences trough their eyes. Keeping this in mind, it’s easy to say that this is not really a personal blog, but will have a global personality of multiple travelling individuals from around the world, each of them with their different way of writing, different culture and different ways of perceiving the world. From what I’ve noticed so far, I think there are two types of people in this world, the ones that are spending their money on memories and the ones that are spending money on things, which one are you? “I Will Travel the World!” is not only a promise that I’ve made to myself, but also an encouragement for you to do the same, that is if you are one of the people that values the memories! Full time world traveller, part time IT Consultant, oh wait, might be the other way around, or is it? Why “iwilltraveltheworld.com”? I’ve started this project because I want to promote travelling and backpacking, I want people to share experiences from around the world and to facilitate the flow of information to other people that are travelling or thinking about travelling.